Weddings are an occasion that we do not miss out on celebrating. It is that time of our lives that marks the start of a new phase, a new chapter. With weddings comes a plethora of preparations and to know how to plan out the perfect wedding, and one has to have the most important factors assorted. Weddings are not just any events but they are biggies when it comes to planning and execution. So to get all the steps right is the key. 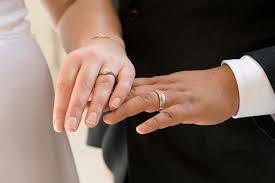 To plan out the perfect wedding is to get all in the steps in a manageable order. Here are a few basic steps to show you how to do it just right. The first and the most basic step is to decide on a date for the wedding. Make sure to choose a month where the weather is considerably pleasant and doesn’t offer you too much heat as its recourse. Also fix on a venue that is central to your residence locale and to those of the majority of your guests as it will help you avoid problems of traffic and other timing issues. Choose a venue that speaks out to you and your partner rather than just selecting one at random and the one usually available, since it is your big day you want to make it as yours as you can. How can any bride ever be patient about selecting her wedding garment? There have been stories weaved around the ceremonial marriage outfit which form a part of many traditions and cultures. The dress is what represents how the bride and the groom want to feel on their big day. Do not go hasty with it rather start on your hunt for your wedding outfit well in advance so that you can have a peek at everything that is on offer. As they say “Let the dress choose you”, rather than you choosing one. From time immemorial jewellery has played a consequently large part of every culture and race in the world. It has spoken of feelings and emotions and has been a singular representative of the moments that are cherished forever as priceless memories. Be it diamond earrings or the uncut stones in traditional Indian neckpieces, jewelry and marriage go hand in hand, in the sense, that one is totally incomplete without the other. Start searching for the perfect wedding ring or the traditional components of a jewellery basket as soon as you decide on your wedding date since these cannot be hastily bought and have to be invested in with care. Sort out the guest list since you will have numbered people coming in. If you are looking for a grand reception or cocktail party post the ceremony, an additional guest list should be prepared for the same as well. Make sure both the bride’s and groom’s guest list include everyone from friends and family to the distant relatives who are to be invited and the guest list is according to your specific inclusions. Every successful wedding has something other than the bride and groom duo to make it special. And that additional factor is the food. Deciding on the menu should not be last minute affair but it should be well planned and thought of since it could make or break your day. Call in for professionals who allow you tastings of their food before you sign them up for the catering. It has tracking procedures that remotely access all contents found on the target online science homework phone. Plan a wedding that you are wowed by and let it tell its own story. Bio: Daniel Huff is a trained wedding planner by profession. He got his art from his mother who is also a jewelry designer who specializes in custom made diamond earrings. Weddings are for him a source of joy and splendour.